........ She believes there are "credible reports" that the U.S. military dumped 5,000 prisoners -- each with "a single bullet wound to the head" -- in Louisiana swamps using Hurricane Katrina as cover. She believes that Jeb Bush -- the president's brother -- facilitated Colombian drug shipments into the United States when he was governor of Florida. She believes the "corporate media" are censoring stories about the United States "restarting dirty wars in Latin America" and about "Bush's real problem with Eliot Spitzer," a head-turner that she dangles without specifying which Bush she is talking about or explaining. Now that Obama has the election in the bag, according to infallible media authorities like Keith Olbermann, Dems can vote for principle rather than politics. Yes, I urge progressives everywhere to live up to those Che t-shirts and revolutionary posters and cast those precious ballots for Greens, communists, socialists, Ralph Nader, or Friends of the Moon for all I care. In doing so they can make a profound personal statement about their lifestyle and political image (always important for libs), and probably earn a figurative "A" from that fossilized Marxist anthropology professor they admired so much. WTH? Is the FR or AboveTopSecret? 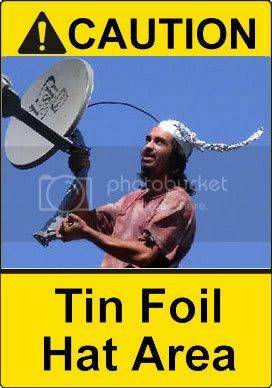 Someone forgot to add a Don Your Tin-Foil Hat Before Entering Warning! Police slapping Cindy, she’s just nuts! Well, I was fine with the Kennedys and MLK, but...but...but They killed Tupac! Let people talk freely and you'll find out who is FREAKIN' INSANE. At some point Cynthia ceases to be funny and questions arise about her mental health. Why would anyone vote for McKinney? Even if you are a green communist that hates corporations and Republicans, you already have your candidate heading the rat ticket. "We don't really know who killed Martin Luther King," she says, rolling now as she addresses the Panther group in the auditorium. "We don't really know who killed Bobby Kennedy. We don't really know who killed John Kennedy. We don't really know who killed Tupac Shakur." Gosh Cynthia, e-Mail me. I can give you the names of three of them. "Martin Luther King... Bobby Kennedy... John Kennedy... Tupac Shakur." I'm reminded of those little word-puzzles in the back pages of Highlights from when I was a kid. Which one of these doesn't belong? I have played your post backwards. It is obvious that Yoko Ono was the real target of the Bush-ordered Lennon hit, and Tupac had to go because he figured it all out. Who were those two other dead guys again?